A dentist may do a filling on a baby tooth if they believe that the tooth could become painful. If the decay is close to the nerve, the tooth can become painful and infected. Instead of waiting for the tooth to cause pain, it is best to prevent this from happening by placing a filling. Baby teeth start to fall out at the age of 6 and the final baby tooth is lost at around 12 or 13 years of age. If a child develops decay in a tooth which is not due to fall out for another couple of years, the tooth will require a filling. However, if the tooth is very close to falling out, you may have the option to leave the tooth as it is and not get it filled. Is It Better To Have The Tooth Removed Instead Of Filled? Baby teeth are not only needed for your child to eat, but they are also important for maintaining gaps for the adult teeth. If baby teeth are removed too early, the teeth can shift around and not leave enough room for the adult teeth to come through. The baby teeth guide the adult teeth into the correct position in the mouth. Having the teeth filled keeps the tooth in the mouth until the adult tooth is ready to come through, which avoids many potential problems. Another important point to keep in mind is that, for a young child, it can be quite traumatic to have a tooth removed. A bad experience in the dental chair as a child can develop into a lifelong fear of the dentist. 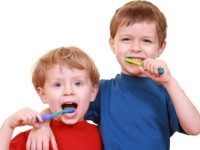 If your child develops a cavity in a baby tooth, a trip to the dentist is needed. The dentist will decide if the tooth will require a filling or if it is close to falling out and can be left alone. The best treatment, whenever possible, is to keep the tooth until it is ready to fall out naturally. Dental decay is caused by a sugary diet and inadequate cleaning. 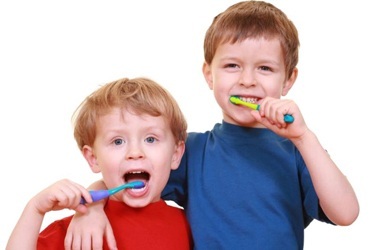 Preventing decay is important in baby teeth as well as adult teeth. Having the correct diet and cleaning routine as a child can help develop good habits for the rest of their life. 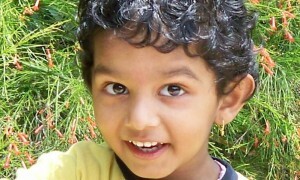 Source: Why Do Baby Teeth Need Fillings?